It is hard to speak of Aquaman #12 without divulging some spoilers. 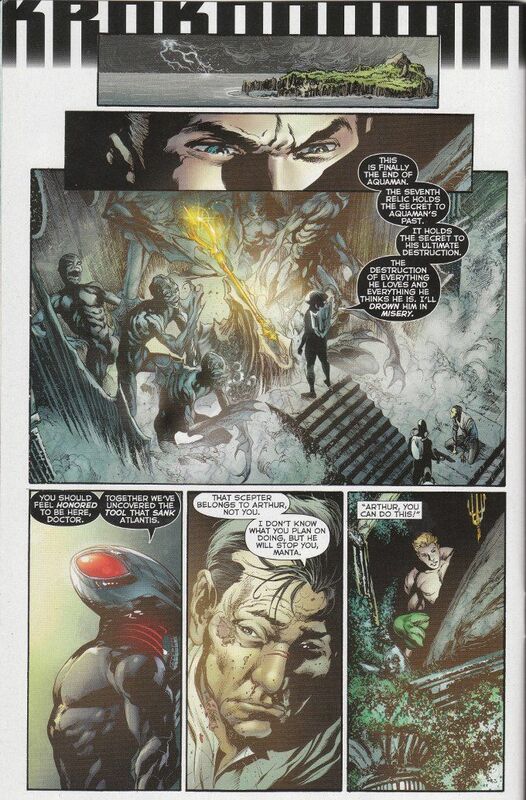 This is to be expected in what is meant to the penultimate chapter in an epic storyline detailing Aquaman's early days in the New 52 universe. Thankfully, it is a rollicking good read though rather dependent on your having been reading the book for the past six months. 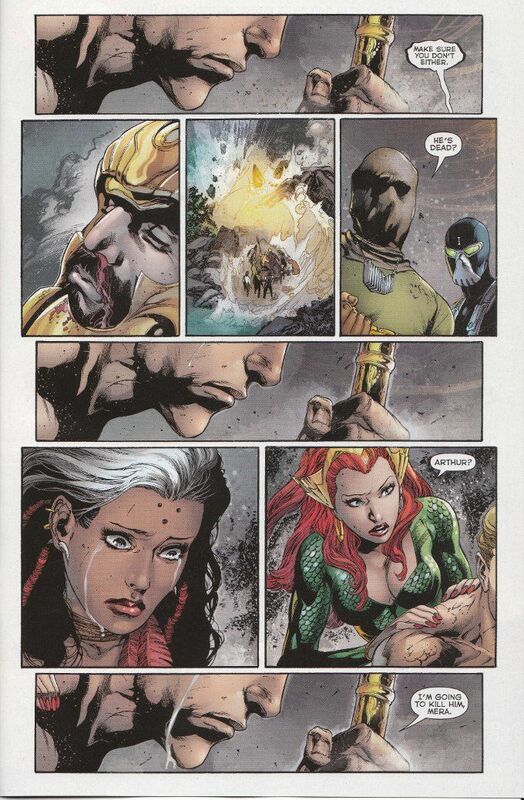 The story continues as Mera joins up with her husband's former teammates from The Others. They go chasing after Aquaman, who his hot on the heels of Black Manta, who is intent on settling several debts with The Others and Aquaman. Blood debts, of course. Geoff Johns keeps the action flowing smoothly, though I suspect this story will flow better as a single graphic novel than as a monthly comic. Ivan Reis' artwork seems oddly unfinished this time around. I think the fault lies not with Reis but with the three different inkers who worked upon this issue. Most of the pages look fine though some - like the one above - seem to lack consistent definition and shading throughout. Aquaman is still one of the best books DC Comics has to offer. But it is, at the moment, not an easily accessible title. New readers should keep that in mind before purchasing this issue and may consider waiting until next month's release of Aquaman #0 before giving this book a try.